Click here to find out how you become a Christian? Please have a good look around!!! Every week our website is updated with new studies, sermons and more, so please make sure you come back and visit us! 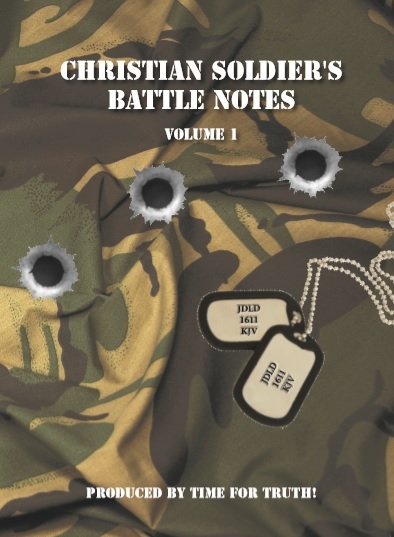 Our BRAND NEW Christian Soldier's Battle Notes book is now available! A must for all those who are on front line ministry, & those who need quick fire answers - 330 pages. It is packed with Scripture & covers many topics e.g. The Holy Bible, Understanding the Scriptures, knowing God's will for your life, Eternal Security, Errors of Calvinism, Errors of Hyper-Dispensationalism, & Errors of the Post-Tribulation Rapture, God's not finished with Israel, Matthew 24, signs, wonders, tongues & healings, marriage, divorce & remarriage plus much more! Why not buy a copy for your pastor, family & friends? The coins are available in silver, gold colouring and gold plating and the dog tags have 2 Tim 2v3+4 screen printed on each one. We can now offer the facility of personalising your own dog tag too. We are a Bible Believing ministry & NOT a business! We believe that the Authorized Version Bible is the perfectly preserved word of God & make no apologies for that! We have many facets to our ministry (as you will see) but our main thrust is to get the Gospel out to as many sinners as we can before the Rapture. We have produced many tracts, booklets & CDs for you to use in your own outreach work - all our material is AT COST i.e. what WE pay YOU pay! So if you are looking for top-quality straight-down-the-line Christian literature you have come to the right place!!! To read o ur Where are they now? tract (as pictured left) please click the following link: Where are they now? Designed or not designed? 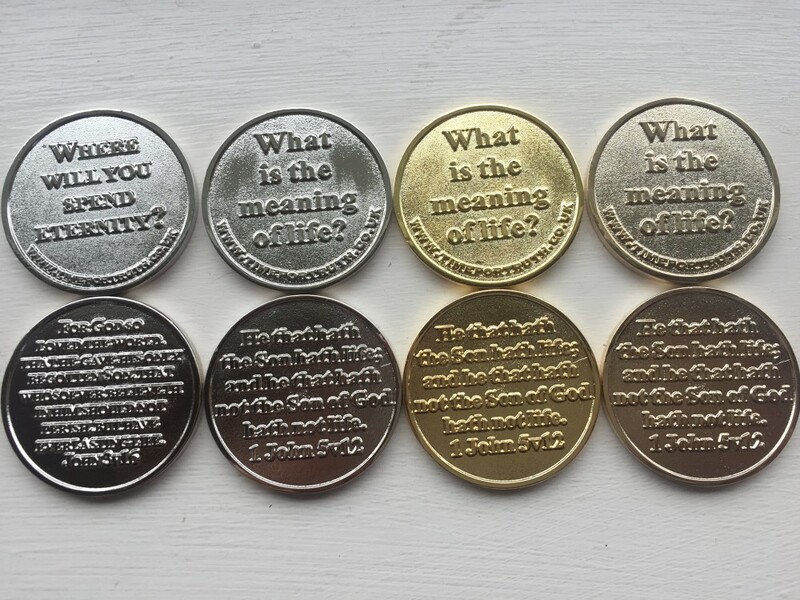 What is the meaning and purpose of life? Is there life AFTER death? Our bi-monthly newsletters keep you up-to-date with the work we are involved in; again it is free of charge to subscribe to, just leave us your details. You can view previous copies here on this website. 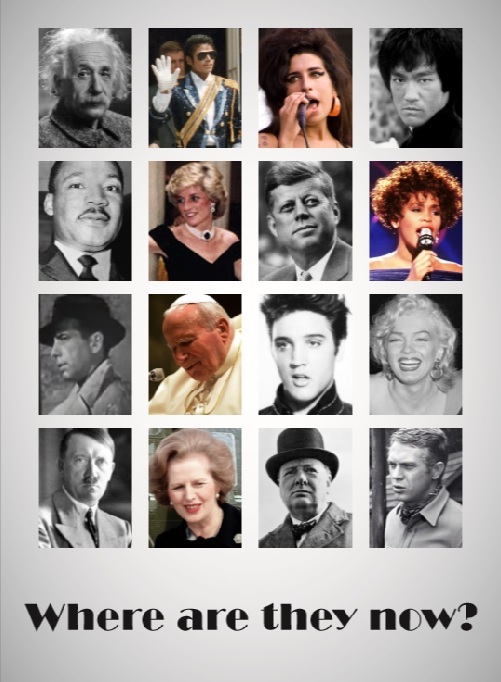 We hold no copyright on any of our materials as we are ONLY interested in publishing the TRUTH to the masses. You may copy what you like but please keep it AS IT IS with no change to either text or Scripture. 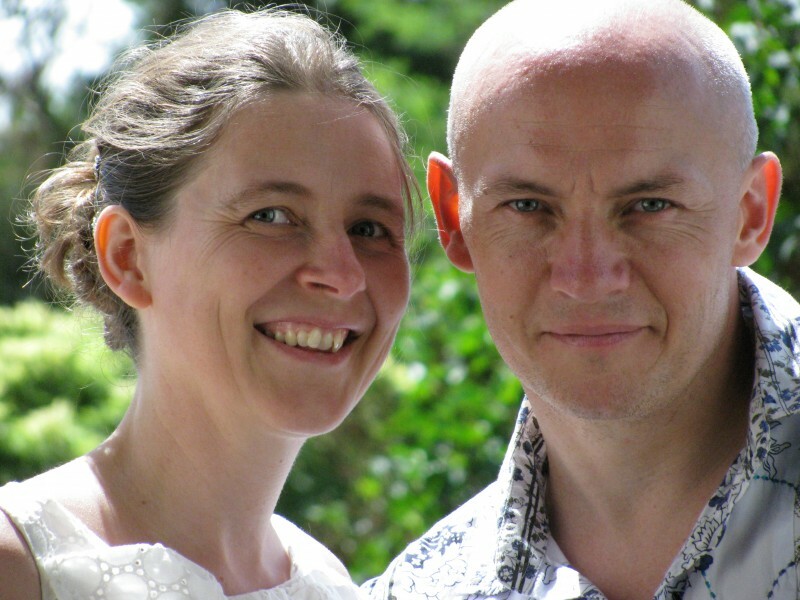 We look forward to getting to know you & pray that you will join us in the huge task of reaching the lost with the Gospel of our Lord Jesus Christ. As we have a cutting edge to our ministry, we often get people who want to ‘fight & argue’ (not that we can’t handle that) but we don’t have the time! So if you have found us just so you can start up an argument, please log-off now & go play somewhere else! May the Lord help us all to do the work which He has called us to do before it’s too late. The 'old man' is corrupt, deceitful & full of lusts. Synonyms for the word 'corrupt' Are you any of these? Challenged & convicted by this sermon? The truth is in Jesus. 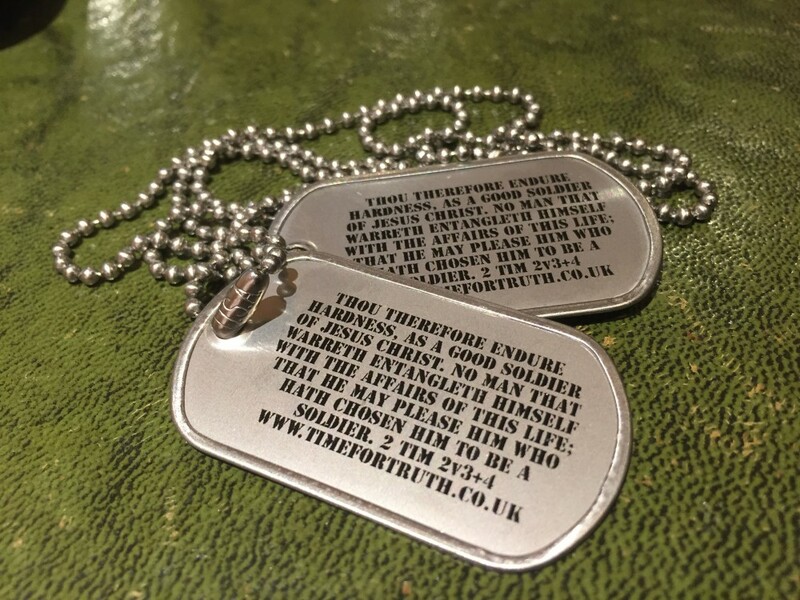 Where do you go to find truth? What's the truth behind JFK, 9/11 & the Moon landing? How do we know? I DISLIKE attention seekers, DETEST fake humility & HATE liars! Is your understanding darkened? Mind & heart are connected. Alienated from the life of God. Blindness of their heart. Given over to lasciviousness & concupiscence. Members of the church. Walk NOT! What are you doing with your life? Are you living for God or for yourself? Do you know the will of God in your life? The Lord has given us gifts, some are men for leading the church. Pastors should be able to teach the Bible. Christian maturity & growing spiritually - are you? Are you grounded in love & in the Scriptures? Being tossed to & fro with every wind of doctrine. We all have different talents to use for the Lord. One Lord, One Faith, One Baptism, One God. Seven Baptisms. What measure of faith & grace do you have? Where did Jesus go when he died - Heaven or Hell? Body, Soul & Spirit. Jesus went to Hell but had two keys. When did the Church, the Body of Christ begin?